When they are not negotiating world politics, some diplomats housed at a commercial office building near the United Nations headquarters are going after a property manager who they claim fraudulently misappropriated their building funds. A condominium board representing the consulates of seven countries who own offices at 866 Second Avenue filed a lawsuit this week against Metropolitan Pacific Properties, alleging the firm “wantonly” created false financial records to reflect made-up payments to vendors and other false charges, and made unexplained money transfers to other entities controlled by Metropolitan. The 15-story commercial building, known as 2 Dag Hammarskjold Plaza, contains consulates and missions to the United Nations for Saudi Arabia, Bahrain, Jordan, Ethiopia, Portugal, Morocco and Greece. Two companies also own condominiums in the building. 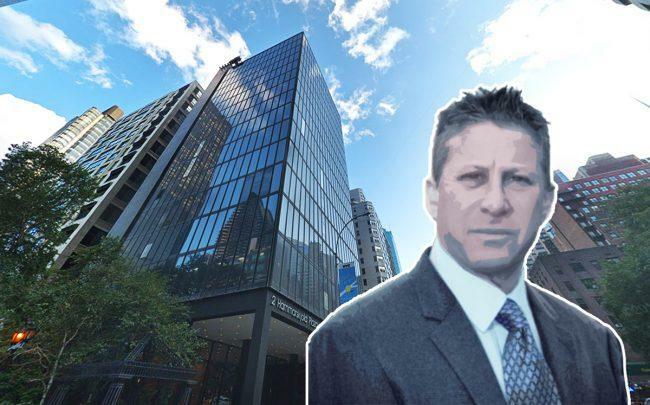 Metropolitan managed the property from January 2013 until it was fired in October 2018, when the board said it became aware of the alleged misconduct. The company and several of its employees, including chief executive Steve Osman, are entangled in another lawsuit, filed on behalf of apartment owners at a residential condominium complex Metropolitan managed in Queens, called Acropolis Gardens. In that case, residents of the 600-unit complex claim that Osman took over the board, misappropriated millions of dollars and drove the board into receivership by defaulting on large loans, the most recent of which was valued at $45 million. As manager of both of these properties, Osman’s firm set up accounts at Signature Bank, which he used to transfer funds between the two condominium boards, according to the Dag Hammarskjold complaint. The Dag Hammarskjold lawsuit also names Signature Bank and accountant Tony Cheng as aiding an alleged fraud scheme. According to the complaint, Signature approved an account be opened on behalf of the condominium board, when it had not received approval from the board to do so. On February 7, 2018 $100,000 was wired from the 2 Dag Hammarskjold account into the account controlled by the Acropolis Gardens condominium board, according to records filed in a separate lawsuit. It was one of three unexplained payments made between the accounts from 2016, totaling $115,147, according to court documents. After the $100,000 transfer was discovered in October, Osman allegedly told the board it was a “mistake” and would be returned in 14 days to the Dag account. It never was, according to the complaint. Peter Moulinos, an attorney for the commercial condo board, declined to comment. Signature Bank did not immediately respond to a request for comment. In an interview, Osman dismissed the claims in the lawsuit, and said the $100,000 wire was a bank “transfer error.” Since the Acropolis Gardens board went into receivership last year, Osman said it the responsibility of Acropolis to pay back the $100,000. “For one error we got tossed out on the curb,” Osman said about his firm being fired in October. He then added that the Dag condo board in fact owes him $3,500 for costs associated with managing the building.